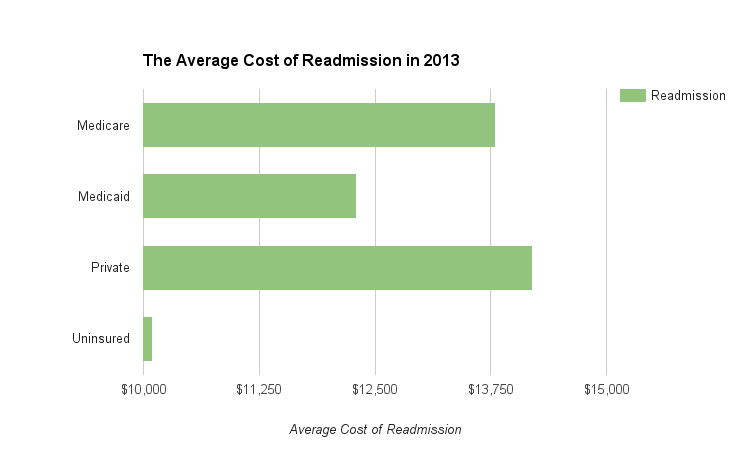 One big problem in healthcare is the rising cost of patient readmission. This is when a hospital who recently discharged a patient get penalized for having that patient return to a hospital within 30 days. Kaiser Health News estimates it will total $528 million dollars in just this year. Many emerging companies in Digital Health are bringing solutions that promise to help hospitals reduce readmission. So what is a readmission? When a hospital discharges a patient they give them discharge instructions to assist with their care. If a discharged patient has to be admitted back into a hospital within 30 days, based on percentages the hospital facility can potentially be fined by the Center for Medicare and Medicaid Services (CMS). In a study by the Agency for Quality Health and Research, they estimate that the average cost of a readmission for a patient who is receiving Medicare is $13,800. One of the key metrics of measuring a hospital’s success in delivering quality care is the readmission rate. Compared to Medicare readmission the cost of Medicaid is $12,300 while the cost of someone who is uninsured is $10,100. If you have a private insurer than the penalty fee is estimated to be $14,200. In Digital Health it’s common to focus on Medicare and Medicaid because this is the core way many hospitals get paid. Let’s focus on Medicare which is health insurance for those who are 65+ years or older and examine how this may impact a health organization. Let’s take a sample of Medicare data on inpatient discharges in 2011. By focusing on the state of Florida (the state with one of the highest 65+ retirees) we can get a better understanding of how frequently discharges happen. 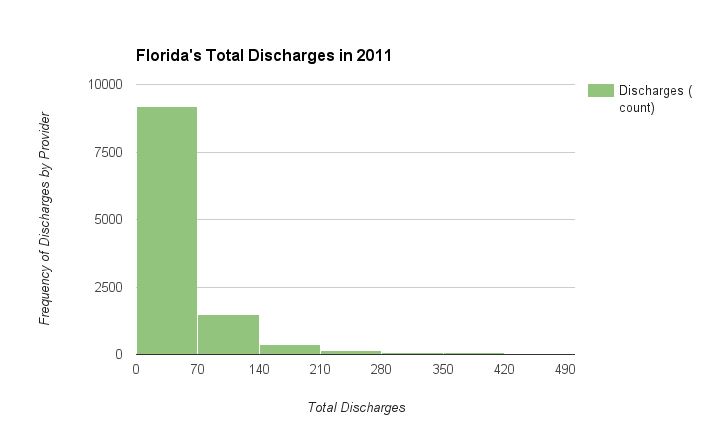 At the range of 0-70 discharges, we have 9,154 discharges in FL providers. Assuming 20% of the discharges led to readmission that would be 1,831 patients who had to return to the hospital. Collectively these hospitals would penalty fees surpassing $25 million. The total amount of discharges in the fiscal year of 2011 was 540,447 discharges. If we can use the same 20% of patients likely to get readmitted we would get a total penalty cost to all FL providers of $1.5 Billion dollars. In Miami-Dade County, one of the big hospitals is Jackson Memorial Hospital. According to the American Hospital Directory, they have 49,177 discharges in a month. If we assume 20% readmission’s out of that total with $13,800 as the set penalty fee (it could be higher because they are a lot of seniors in Miami). That would mean Jackson could be facing up to $137 million in penalty fees. With a total patient revenue of $4.5 billion that could lead to a 3% loss for the hospital. 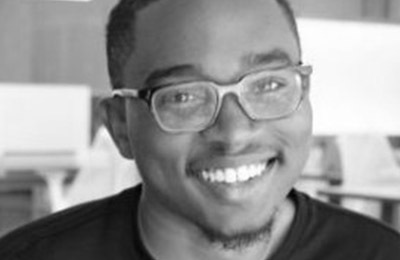 As someone that works in the digital health space one of the constant things I hear companies say is, “we help hospitals reduce readmission.” It is easy to get caught up in the compelling idea that software will drive the digital health revolution, but I like to focus on the data showing evidence of that impact so we can drive real outcomes. This means discussing how software is driving down costs and deliver outcomes in a quantifiable way. In my opinion, this starts with tracking metrics and ends with creating better processes that create a better quality of care. Next Post Can Software Reduce Patients’​ Out-of-Pocket Prescription Drug Costs and overall Medicare Prescription Drug Costs?